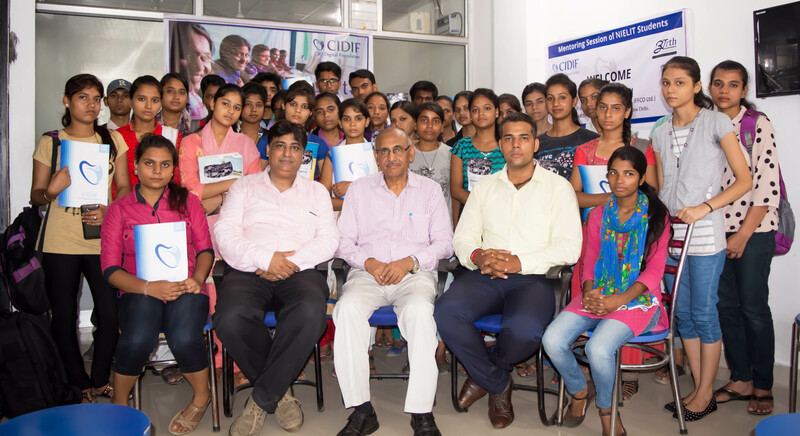 CIO Digital Foundation (CIDIF) organized a mentoring session by its Executive Member , Shri S. C. Mittal, Former Sr. Excecutive Director, IT, IFFCO ltd. for NIELIT 'O' and 'A' level students on career options they can choose after these courses. The session was followed by Q & A by Mr. Mittal and Mr. Sachin Jain, Director, ARTH Institute (Jaitpur village Branch). The session was very interactive and students were excited asking questions from Industry experts.